Hello! I had some free time this morning to check out some of my favorite challenge blogs. Something I haven't had time to do in forever. Sometimes you need to create just for fun. When I saw the new sketch up over on the CAS(E) this Sketch! 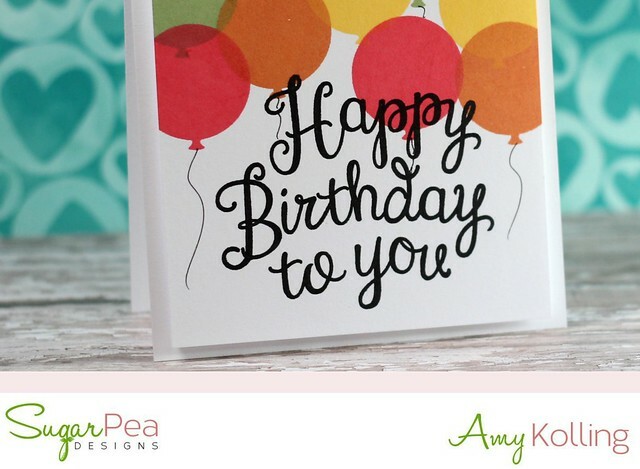 blog, I knew exactly the card I would whip up! 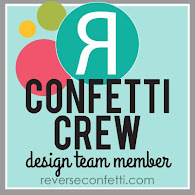 My Reverse Confetti goodies immediately came to mind! 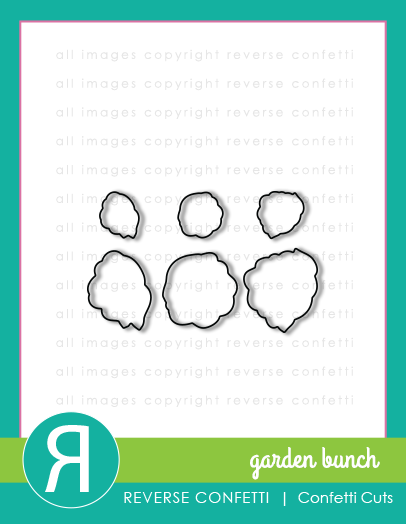 I started with my (probably first) Swiss Dots embossing folder to add some dimension and texture to my CAS card. 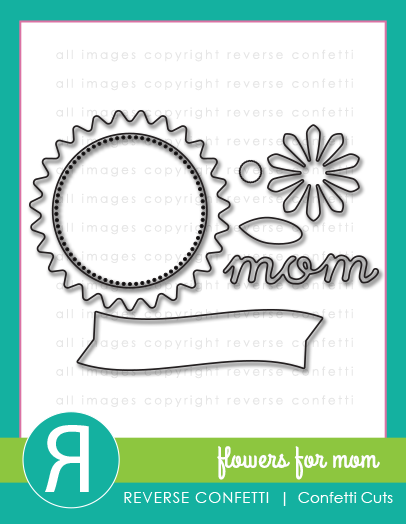 I die cut the Wreaths Confetti Cuts and Leafy Confetti Cuts along with the banner from Flowers for Mom. 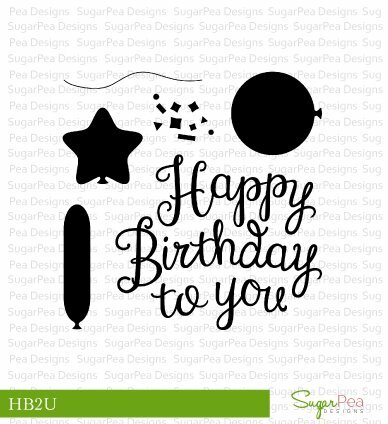 I stamped my sentiment, from Celebrations, in black ink. 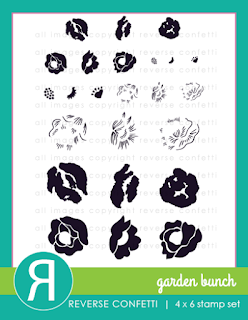 My flowers, from Garden Bunch, were stamped in various dye inks from Altenew. I arranged my wreath and flowers and adhered with foam adhesive. 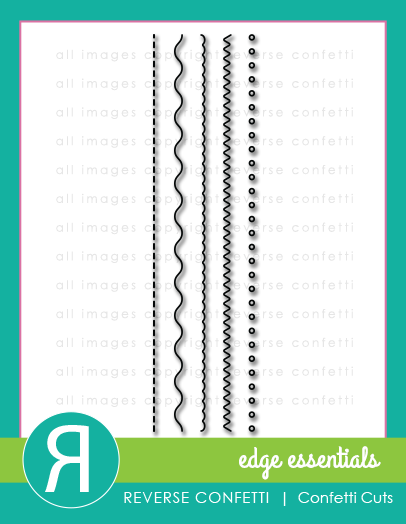 Of course, some sparkling clear sequins from Pretty Pink Posh were added! Hello! 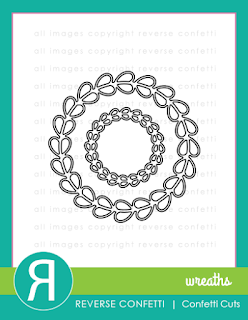 I have a CAS card to share using more of the newest release from Avery Elle. 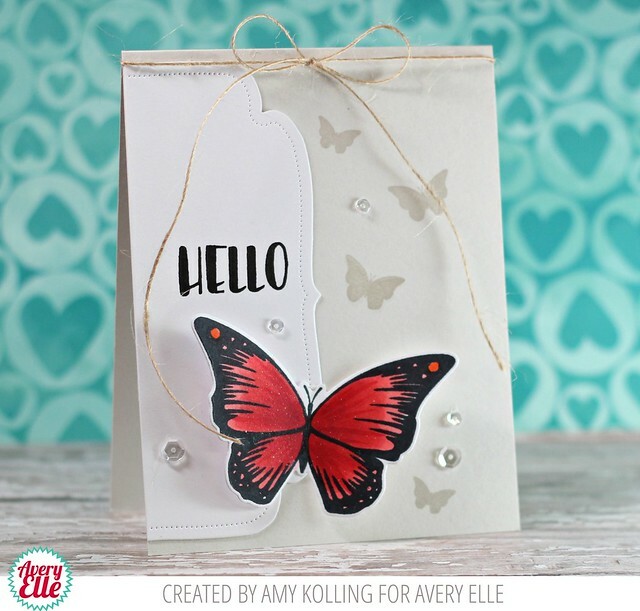 This new Butterflies set will be so perfect for ANY type of card. I started with a notecard from the Midnight Folded A2 Collection in a light grey. 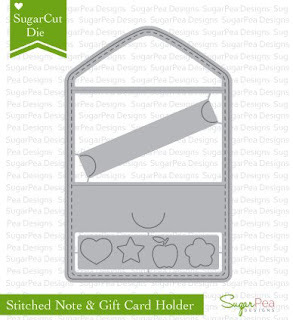 To the left side, I used the Large Treat Bag Topper die with white cardstock. 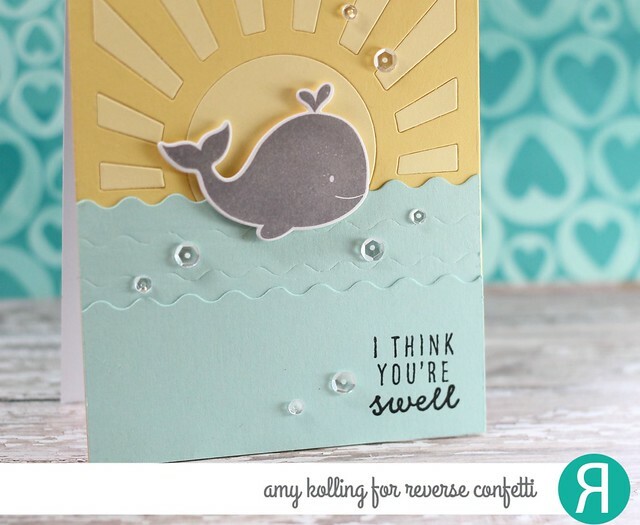 I love the curved detail with the dotted border! Remember to think outside the box with your dies! I stamped the smaller butterflies in a complimentary pigment ink that resembled a watermark but a bit darker. The big main butterfly was colored with R22, R27, and R29 Copics and clear Wink of Stella was added for shimmer once dry. 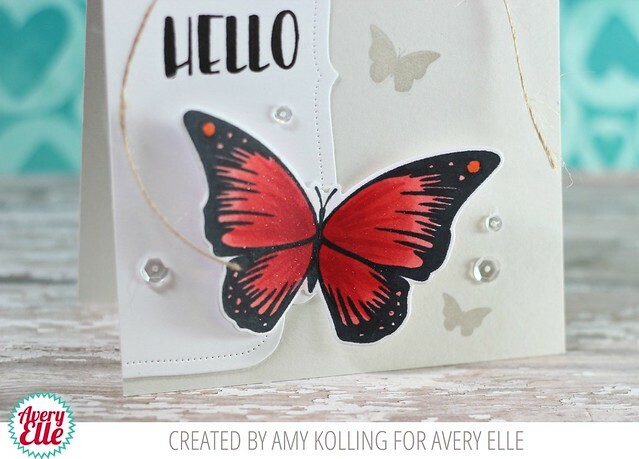 The butterfly was die cut with the coordinating die, adhered by only adding adhesive to the body, and pulled it's wings up for dimension. A few Sparkling Clear Sequins from Pretty Pink Posh were added as a final touch. Welcome! Last week I shared lots of inspiration using the new June release from SugarPea Designs. It's such a fabulous release.....and they just keep getting better and better! 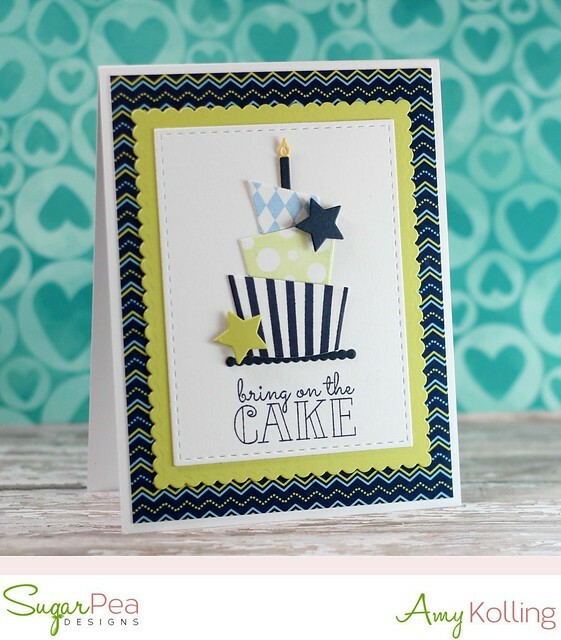 During the last day of sneaks, I shared a masculine card using the Bring on the Cake stamps, It's a Celebration pattern papers, and Birthday Journal Card Dies. Today, I have a feminine version to share! First, I have to talk about these new papers......It's a Celebration. 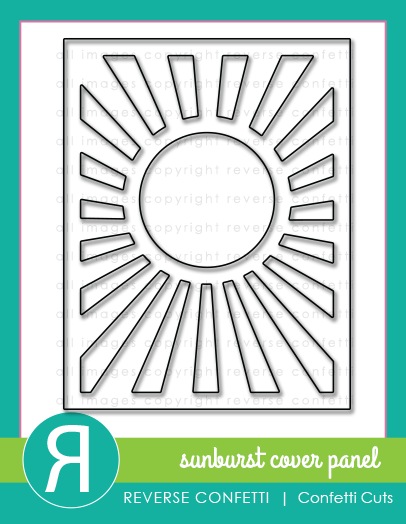 These come in a pad, perfect for adding to a standard A2 notecard. They are a bit glossy and have loads of color. 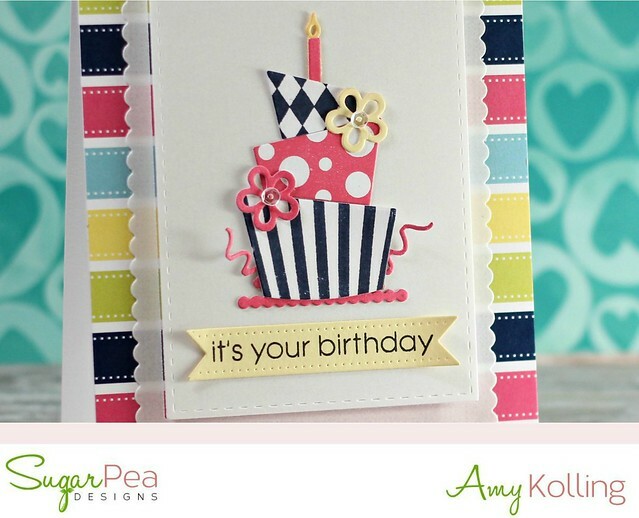 Here I've used this gorgeous striped paper for the base of my feminine birthday card. To "tone the color" down a bit, I've layered 2 pieces of thick vellum together and backed it with SugarPuff Foam for dimension. Love this vellum and the look it gives! 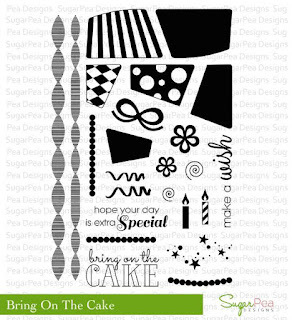 I've stamped and die cut the various cake pieces using Bring on the Cake and the Birthday Journal Card dies. I assembled my cake onto my vellum layer and adhered. 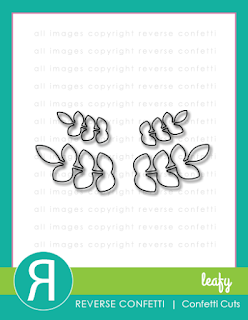 Tiny sparkling clear sequins from Pretty Pink Posh were added to the flower centers. 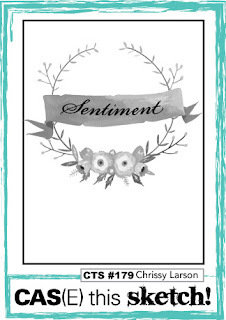 My sentiment was stamped using Celebrate all the Things onto a die cut banner from the Gift Tag Dies. Hello! 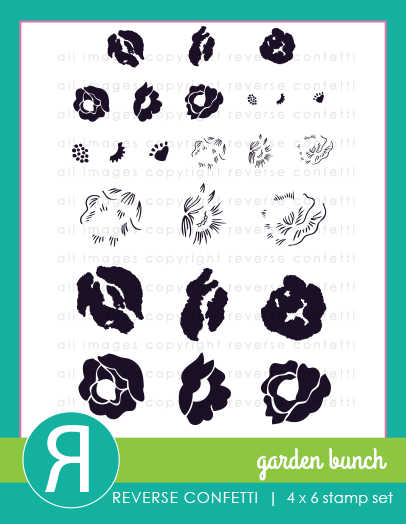 I am thrilled to share some of the projects I've been working on for the brand new release for SugarPea Designs! 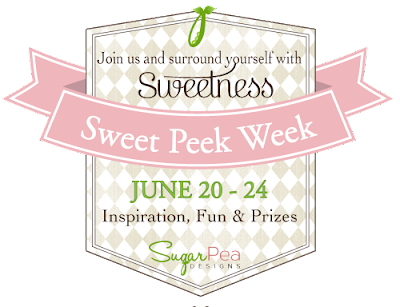 Each day this week, we will be sharing inspiration using the new release. With several new stamp sets, matching dies, and even a new paper product.......there's something you are sure to love! The entire June Product Release will be available starting Friday, June 24th at 6pm EST in the SPD Store. 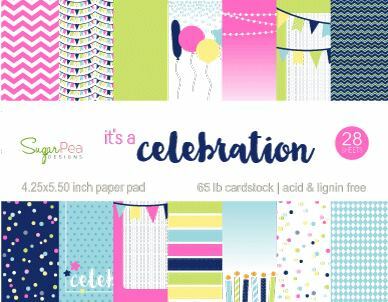 There are amazing new products releasing this month to help you celebrate that special event! 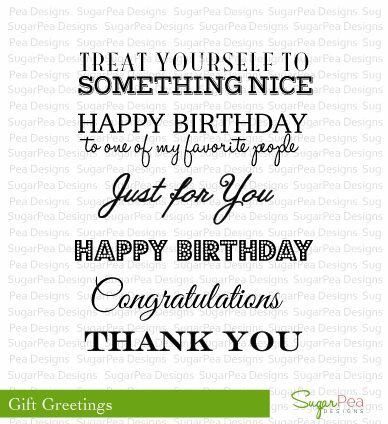 I just love the products today! 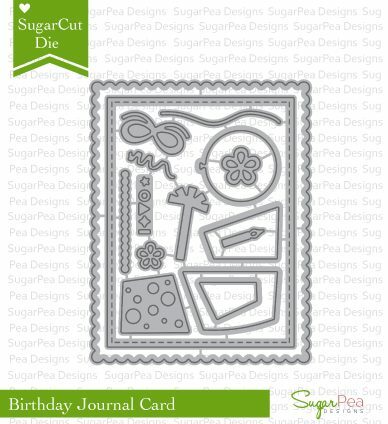 I used the new Bring on the Cake stamps and dies along with the new Stitched Note and Gift Card Holder to create a masculine set! Pair these dies and stamps in masculine colors that I took from one of the pattern papers from It's a Celebrate paper pad......you have a perfect match! 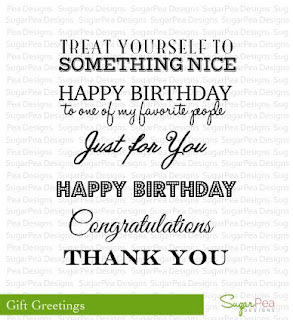 The inside of the gift card was stamped using another new set called Gift Greetings. I've stamped it on a piece of white cardstock and adhered behind the gift card! 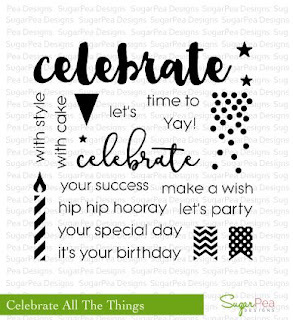 Would you like to win the Celebrate all the Things stamp set? 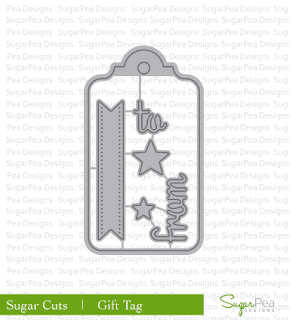 All you need to do is leave a comment on the SugarPea Designs blog! You have all week to comment. 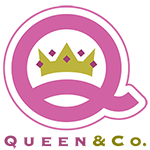 Winners during the June Product Release will be announced on Sunday, June 26! I think you are SWELL! Hello! 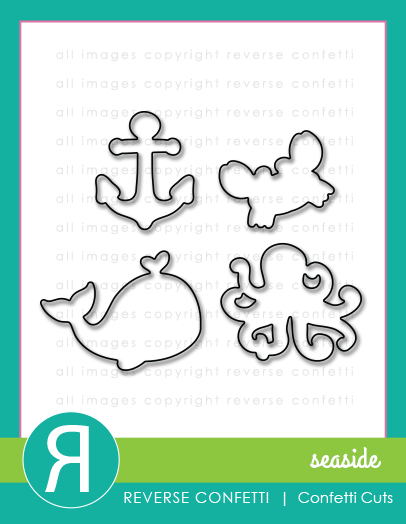 I just love this new set called Seaside from Reverse Confetti. The images are just adorable and you can create the most adorable scenes. 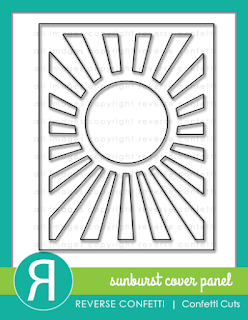 I've used the new Sunburst Cover Panel for my background and the wavy die from Edge Essentials to create my waves. 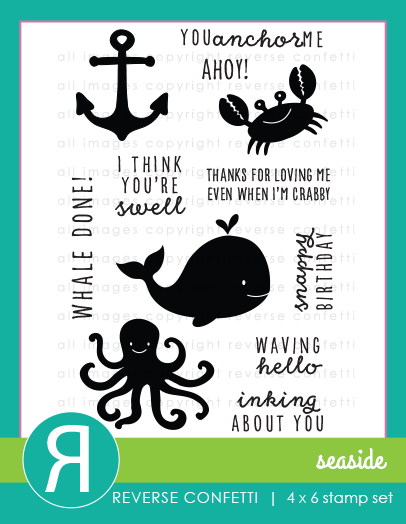 I just think this is SWELL! A few sparkling clear sequins from Pretty Pink Posh to finish this off! Welcome to my Throwback Thursday post over on the Pretty Pink Posh blog! 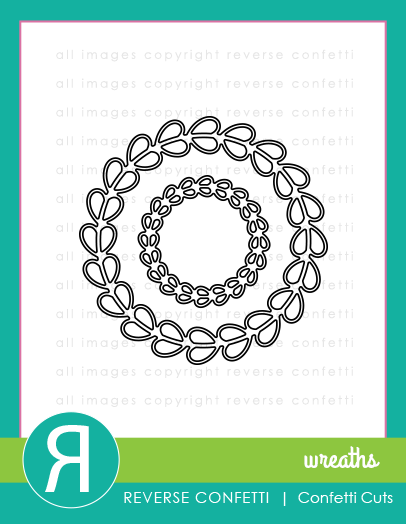 Here's a little sneak peek of my project using Stitched Duo 3. This is such a great way to use those older dies in your collection! 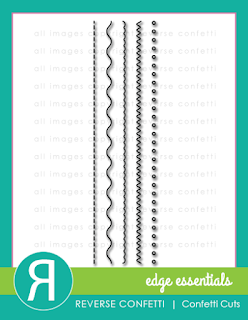 Today I'm using the new set called HB2U for a very clean and simple card that is so easy to to using my Mini Misti! Using mostly Altenew dye inks and my Misti, I used only 1 balloon stamp from this set and randomly moved it around stamping each balloon twice for full coverage of ink. I love the look of the colors overlapping! Once this panel was done, I stamped my sentiment in bold black Versafine Onyx Black ink. 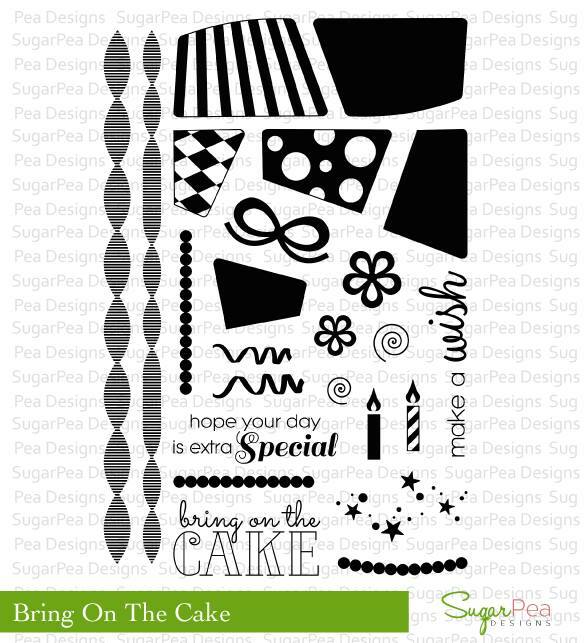 Would you like to win the Bring on the Cake stamp set? 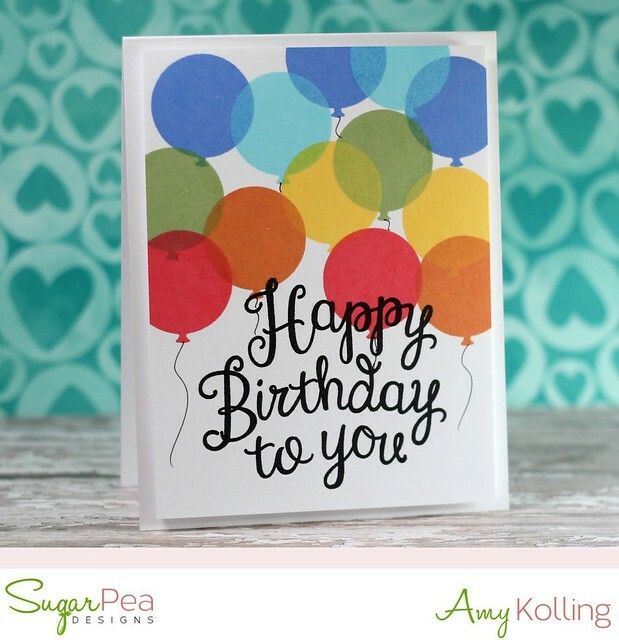 All you need to do is leave a comment on the SugarPea Designs blog telling us a special birthday memory! You have all week to comment. 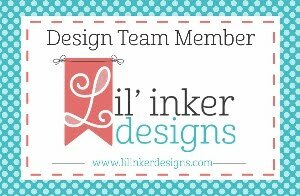 Winners during the June Product Release will be announced on Sunday, June 26!